Offset Heat Transfer Paper For Commercial Offset Printers. 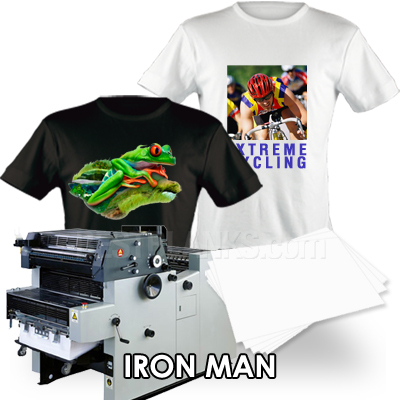 Neenah IRON MAN Offset Heat Transfer Paper is for commercial offset printers. 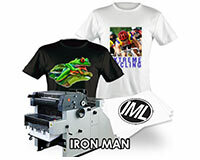 Iron Man transfer paper offers excellent printability, solid ink coverage and superior ink hold out. Iron Man Transfer Paper is easy-to-apply with a home iron or a heat press. Neenah Iron Man/Light 8.5"x11" Heat Transfer Paper For Offset Printers only!